Welcome to our baby signing blog! Welcome to our TinyTalk blog. This is the home of useful information to help you and your little one with their signing journey. We’ve got handy hints and tips, advice from our teachers, insights from families, answers to your most frequently asked questions – and lots more! The one thing all TinyTalk teachers want you to know! Being a TinyTalk teacher is a job that’s varied, entertaining and wonderfully rewarding. The role is designed to fit conveniently within your existing family commitments and lifestyle, giving you the flexibility to choose your working hours and be your own boss! This month’s blog features an interview with Deb Hart, of TinyTalk Kent Downs, to tell us more about what she does on a day to day basis and why she enjoys it so much! 1. Where are you based and how many classes a week do you run? I run TinyTalk classes in the Kent Downs area which spreads from Ashford Kent in the East, to Whitstable via Canterbury and Faversham! We have 12 classes weekly including our original Baby Signing classes and Toddler Talking classes. 2. What made you want to become a TinyTalk teacher? 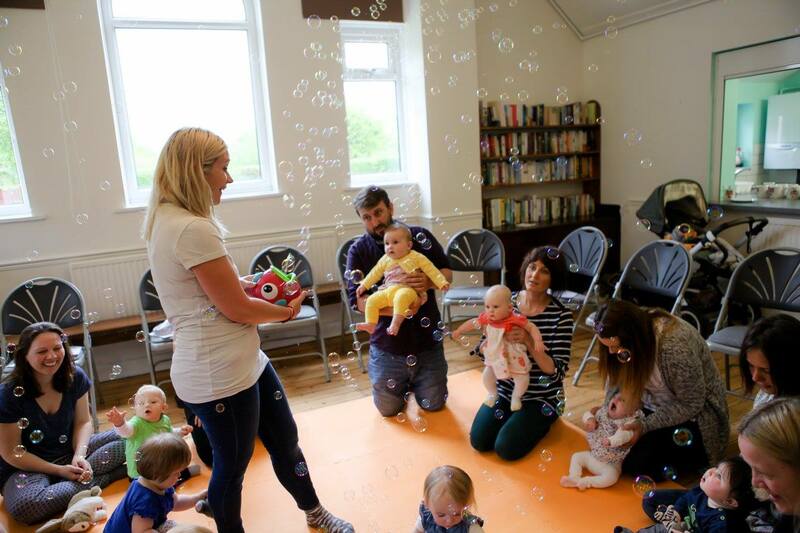 I was looking for a job to fit in around my growing family, and we had enjoyed our TinyTalk classes so much when we attended them ourselves it felt like the natural move. I loved that I could bring my daughter with me to class, and she was the perfect little advert! 3. What do you find most rewarding about teaching baby signing? I feel very privileged to witness some amazing moments in my classes – babies taking their first steps, making their first signs, watching them grow in confidence week on week, but the thing I love best is facilitating a supportive network for parents; somewhere they can come and sit, and chat and get to know people if they want to (we have social time after every class for the babies to play and grown-ups to drink tea and talk), or just to sit quietly and take time for themselves. I’ve watched new friendships bloom and strengthen, and parents feel more capable and empowered as a result. Parenting is tough, and having a happy place is essential. I am proud that my classes have been that place for so many families over the years. 4. At what age can children move up to Toddler Talking classes and how are these different from Baby Signing sessions? 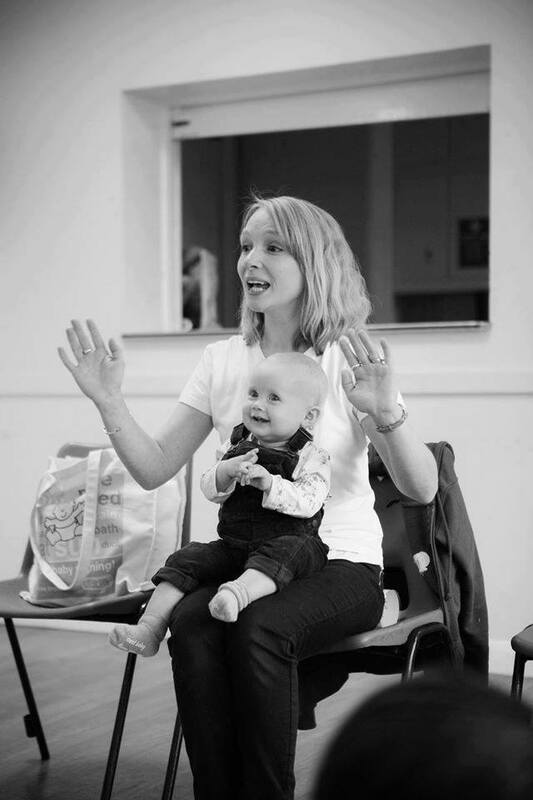 Our TinyTalk Toddler Talking classes are really active, and are best suited to little ones who are confident walkers and happy to be in a lively environment – usually from around 18 months. Like the baby classes, we cover a new theme each week, use lots of fun props and sing all the children’s favourite songs! In addition to using our BSL signs to help little ones communicate more easily, our toddler classes also have a strong focus on supporting developing speech, as well as working on social skills such as taking turns, following instructions, teamwork and sharing. In true TinyTalk style, you still get tea and biscuits after our learning time, and a chance to chat while the little ones play with different themed toys each week; it’s a great way to spend quality time with your small people while hanging out with likeminded bigger people! 5. What is the one thing ALL parents and carers should know about baby signing? It works! Signing gives tiny people the means to express themselves long before they are able to do so verbally. This alleviates all the guess-work on the parent’s behalf, and all the frustration on the child’s part, making for a happier, calmer family dynamic. Signing will give your child a great foundation in how two-way communication works – we always say the word at the same time as making the sign, so babies are used to associating both in a clear, deliberate fashion. Even as your baby grows and starts to form spoken words for themselves, signing will support this; clarifying the words they find tricky so there’s no chance of your child being misunderstood in these fragile first years. It’s great to see that so many nurseries and preschools and primary schools are using sign language these days, so it really is a skill for life! Children cannot speak from birth, yet we still talk to them! To learn a spoken language, babies need to hear it on a daily basis – to internalise and remember the sounds required, long in advance of their first words. By around the age of 6 months, a ‘typical’ baby is already able to make connections between ‘things’ and their names. E.g. who ‘mummy’ is and what she looks like. However, babies do not have control over their lip muscles at this stage, and so saying ‘mummy’ is physically impossible; communication and recognition will come in the form of a gurgle at best. However, a baby can use sign language to express themselves as soon as their motor skills develop, which can be as early as 4 months – therefore providing an outlet for communication and a way to demonstrate their levels of understanding. By signing from birth, or as early as you can, you have the opportunity to teach your child the most useful signs they’re going to need, and give them enough time to take them in and remember them, before they can physically sign back. By attending weekly TinyTalk classes, your confidence to sign at home will rapidly grow, and your baby will love spending quality time with you. You’ll be amazed by what your baby has to say. “If I teach my child to use sign language, will their speech be delayed?” The quick answer is no. There is no scientific research or evidence to suggest that using sign language has a negative impact on speech development. When signing with hearing children, it is a springboard to spoken language. Our TinyTalk motto is, “See it, say it, sign it.” By repeating signs so often on a daily basis, and saying the word each time, you’re increasing your baby’s exposure to spoken language. Children who are signed to have the ability to communicate effectively many months before those who aren’t, which means they’re far more used to using language, e.g. making connections between ‘things’ and their names, conveying their thoughts and feelings, and more importantly being understood. As a result they can be much calmer and happier which benefits their mental health and all-round wellbeing. The innate desire to speak, (in a hearing child with no known communication difficulties), cannot possibly be slowed down or held back; it’s as inevitable as growing! As children begin to speak (at whatever age they are naturally ‘wired’ to do so), they’ll do so alongside their signing. This is enormously useful to clarify spoken words that are likely to be unclear at first. They usually drop the signs when they’re no longer needed to make themselves clear. Teaching signing in hearing children involves visual, auditory and more importantly kinaesthetic (VAK) elements. Using VAK techniques, i.e. ‘doing’ something physical whilst learning, has been scientifically proven to help improve language retention and is used in the most effective educational environments. This is the exact reason why ‘Jolly Phonics’ is taught in the majority of schools today and each sound is given a corresponding action. To find your nearest class, visit TinyTalk today! For most families, using sign language with your baby will be a new activity for all of you. You’re both learning a new language together, and so repetition is vital. Imagine attending a weekly Russian class, then speaking no Russian at home… your progress would be slow to say the least! The same is true with sign language. Weekly classes are a brilliant way to build confidence and increase your vocabulary, but what you do on the days in between will have the biggest impact. Incorporating signing into your daily routines is an easy, effective and natural way to ensure that you practise regularly. Make a note of 2 or 3 core signs that you know, and feel confident using, for the most frequent activities in an average day: e.g. ‘milk,’ ‘more’ and ‘all gone’ (mealtimes); ‘clean’ and ‘dirty’ (nappy changing); ‘buggy,’ ‘ducks’ and ‘fun’ (visiting the park); or ‘bath,’ ‘bed’ and ‘sleep’ (bedtime). If you’re finding it hard to remember, leave post-it notes around the house to remind you of the signs you want to teach in each context. It’ll soon become second nature! Singing nursery rhymes is a wonderful way to practise signing. You don’t need to sign every single word, just the key words that you know and feel confident using. E.g. for ‘The sun has got his hat on’, sign ‘sun,’ ‘hat’ and ‘happy’ and ‘play.’ Children love being sung to, and singing together is a beautiful bonding experience. Add in sign language and it’s doubly valuable! 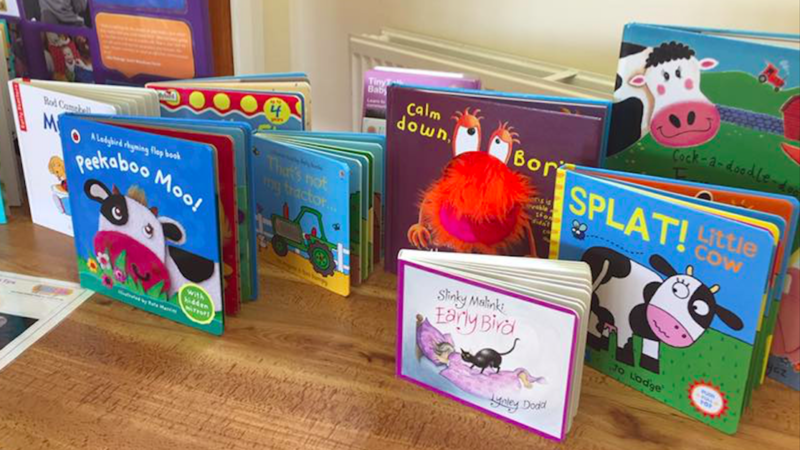 Sharing books together is another lovely way to teach your baby to sign. Similar to signing nursery rhymes, you don’t need to sign every word, or even something on every page – just the words that you know and want to teach. You can use signs to talk about the illustrations too, e.g. pointing out trees, animals and anything that your child is showing interest in! How does Baby Signing work? Baby signing is the use of signs and meaningful gestures to communicate with your child. By teaching them how to use sign language, you give them a voice before their first spoken words. Babies gain control of the muscles in their hands far sooner than those to coordinate their mouth and tongue. They have the ability to understand the connections between things and their names from as early as 6 months, but simply don’t have the physical ability to produce the words for what they want and need. Sign language provides the perfect outlet for communication, allowing them to demonstrate their understanding. Daily repetition: Babies can sign as soon as they have the motor control to do so, but they need to have seen the signs demonstrated enough times to understand and remember what they are and what they relate to. Keep it simple: At first teach just the signs that will be most helpful to you and your baby, and reinforce those on a daily basis e.g. ‘mummy,’ ‘daddy,’ ‘milk’ etc. Introduce further signs as their understanding grows and it will soon become second nature. Keep it relevant: Always sign in context, and try to focus on what your baby is looking at or interested in. For example, it will make much more sense to sign ‘dog’ when you can see one. If they also see a bird in the tree or a duck in the pond, make sure you’re there, ready with the signs for them! 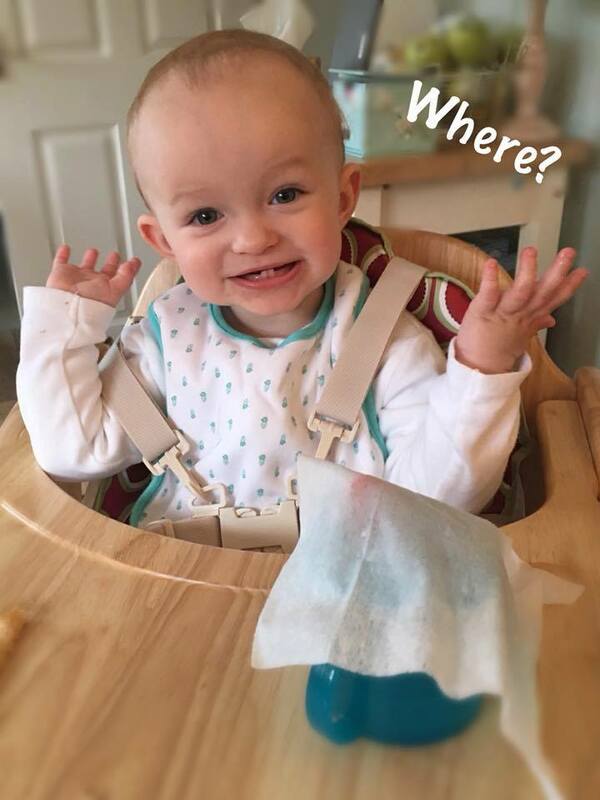 You will be giving your baby the language for their thoughts, enabling them to begin making sense of their world.